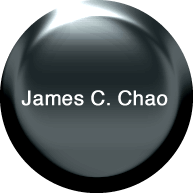 James C. Chao is the founding and managing partner of Himark Counselors, practicing primarily intellectual property law. He is a well-recognized trademark law professor, attorney and filing agent in Taiwan, and the leading co-author of the best seller in the field of intellectual property, “An Introduction to Intellectual Property,” now in its 11th edition (2016). Taiwan’s new Trademark Law effective July 2012 introduces many recommendations he proposed in his research project report for Taiwan’s IPO in 2005, which is an important trademark law reference now available on IPO’s website. As an expert panelist for UDRP (Taiwan), he has also rendered a number of cyber-squatting decisions. He received his J.D. at the University of San Francisco and is admitted to California bar. Languages: Chinese, English and Japanese. His practice areas include patent, trademark, unfair competition, business contracts, labor disputes, consultation on doing business in/with Taiwan. FRANK TSAO is a litigation lawyer, experienced in civil, criminal and intellectual property litigation. He received training in the United States as a court martial judge, and gave lectures to court martial judges. He helps our clients on various trademark matters. He is fluent in English and served several terms of presidency in the Taipei Grand Toastmasters Club. ASHLEY HUANG received her LL.B. from Chinese Culture University, which she represented as a leading debater in the well-known Jessup International Law Moot Court Competition. She will also receive LL.M. from University of Southern California in May 2018. She has attended INTA’s annual meetings and a US trademark law practice course in the US. She helps the clients on trademark prosecution and related matters. Our congratulations to her on her admission to the University of Southern California LL.M. program. KATE CHIN was graduated from Tamkang University, majoring in Japanese, and passed the JPNL N1 level, the highest level for Japanese fluency. She attended two universities in Japan as an exchange student, and is experienced in receiving Japanese visitors. She works with Japanese and foreign clients on IP filings and related matters.